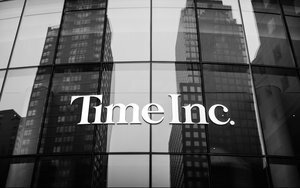 Time Inc. has reorganized its sales and marketing team again to deepen the company's commitment to sell advertising based on category instead of magazine title. The shakeup is the first big move by Chief Revenue Officer Brad Elders since he was promoted from president of digital sales, when Mark Ford stepped down in December. The restructuring will result in 30 staffers leaving the company, including six senior sales and marketing executives. Some took voluntary packages; others were let go when their positions were eliminated. Karen Kovacs and Greg Schumann have both been named group president of sales, working across brands and categories to oversee all category, digital and brand revenue. The digital sales team that Elders previously led will now be embedded in the new structure, according to a memo from Elders. Andrew Reedman and Thu Phan Rodriguez will report to Kovacs and Schumann, respectively, to drive overall digital revenue. Kovacs will oversee the beauty, entertainment and fashion/retail categories and the entertainment, style, multicultural, fashion and lifestyle brands. Schumann will oversee the automotive, financial services, home, pharmaceuticals, tech/telecommunications and travel categories and the sports, news, finance and luxury brands. Time Inc. is also adding five new categories to their oversight. Kovacs’ team will handle entertainment and fashion, while Schumann's will service government/industry, home and travel categories. These shifts are adjustments to Time Inc.’s reorganization of its business side, which began last year. The company eliminated the publisher role to have sellers in each group work across magazine brands, as well as platforms. In addition, Susan Parkes, who previously oversaw brand marketing, has been named SVP of advertising and brand marketing to create one cohesive marketing team. Greg Giangrande is now chief communications and human resources officer, combining corporate communications and PR. Meanwhile, Time Inc. could begin talks with potential buyers as soon as next week. The company was approached by Meredith Corp. about a possible merger a few weeks ago.